If you go to gamehug.com and scroll down to the bottom of the page, you will find a disclaimer indicating that the site promotes modified installers, and that additional software recommendations may be offered during the installation of different programs. Most users will recognize GameHug as an online gaming service; however, it seems that the most important party is Big Fish Games, Inc. If you decide to download any of the GameHug games, you will initiate the Big Fish Game Manager. Even though it is not necessary to delete programs if they are working with the help of other parties, you certainly should think about GameHug removal for a few different reasons. 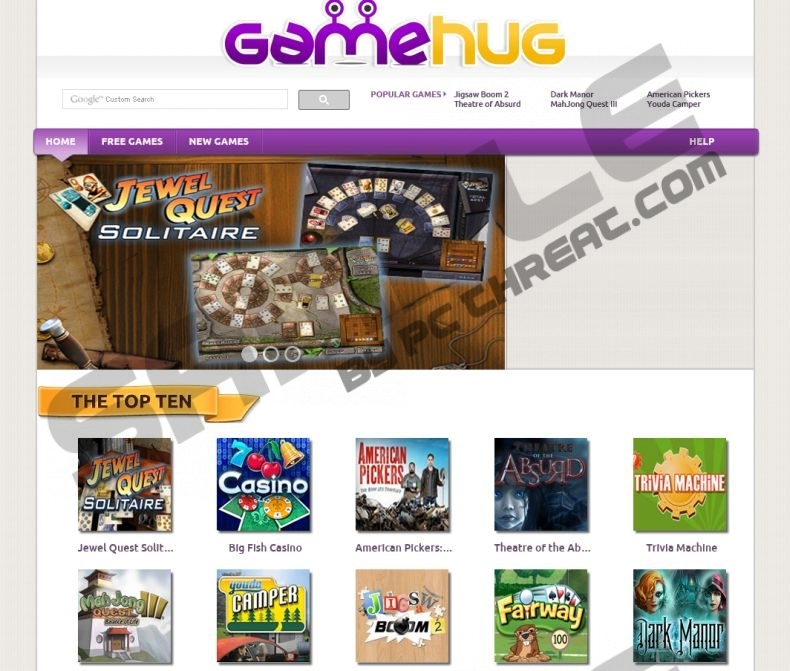 It is impossible to know which programs could be installed together with GameHug games. If you are careful when installing software, it is most likely that you will be able to reject undesirable programs. However, if you are not cautious, you may install a number of undesirable programs without really meaning to. Have you found some suspicious programs running on the PC? You must remove them if they are not reliable. Of course, you should delete GameHug as well if you are not interested in facing different advertisements whenever you browse the web. Third-party ads could expose you to links to unreliable sites, and so the removal of adware may be important for the sake of virtual security. If you decide to delete GameHug from the Windows operating system, you firstly need to delete the shortcuts on the desktop. These shortcuts are meant to route you to gamehug.com and launch the software. Afterward, you must delete the application from the computer. If you follow the manual removal guides below, you will be able to delete the Big Fish Game Manager, GameHug, and other potentially undesirable programs. Note that you can also employ automatic malware removal software, and this is what we recommend, especially if other unreliable software is running. Double-click Add or Remove Programs to open the Change or Remove Programs menu. Now click the undesirable program and select Remove. Click the Windows/Start icon on the Task Bar and select Control Panel. To find the list of installed applications, click Uninstall a program. Right-click on the Metro UI screen to open a pane at the bottom and click All apps. In the Apps menu click Control Panel and then select Uninstall a program. Now right-click the application you wish to delete and select Uninstall. Quick & tested solution for GameHug removal.